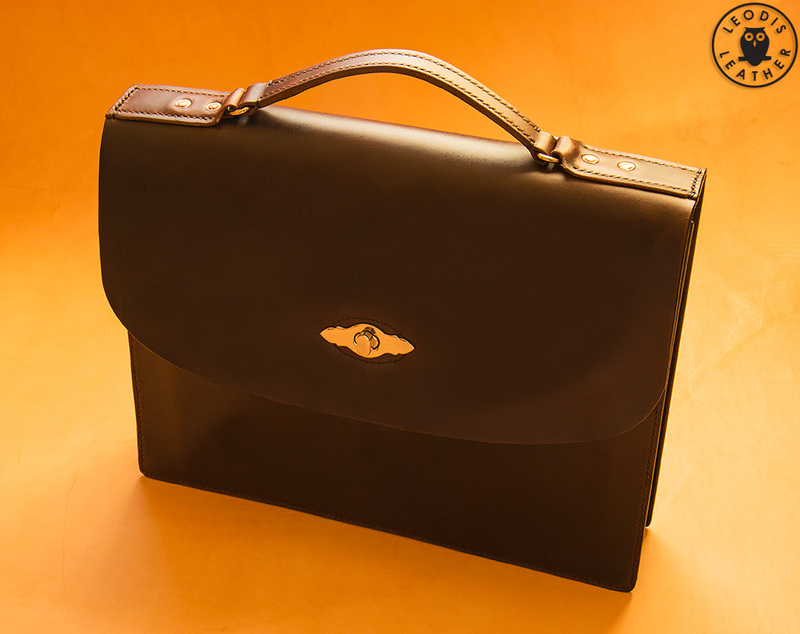 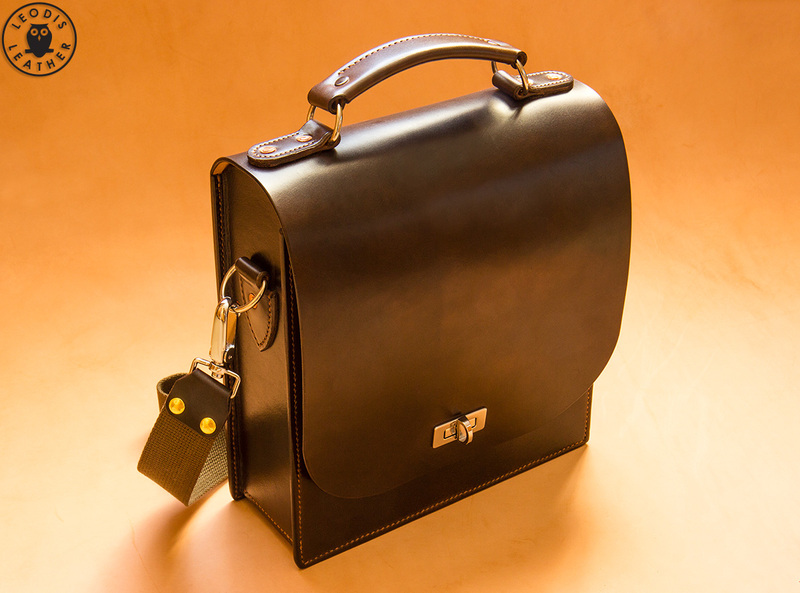 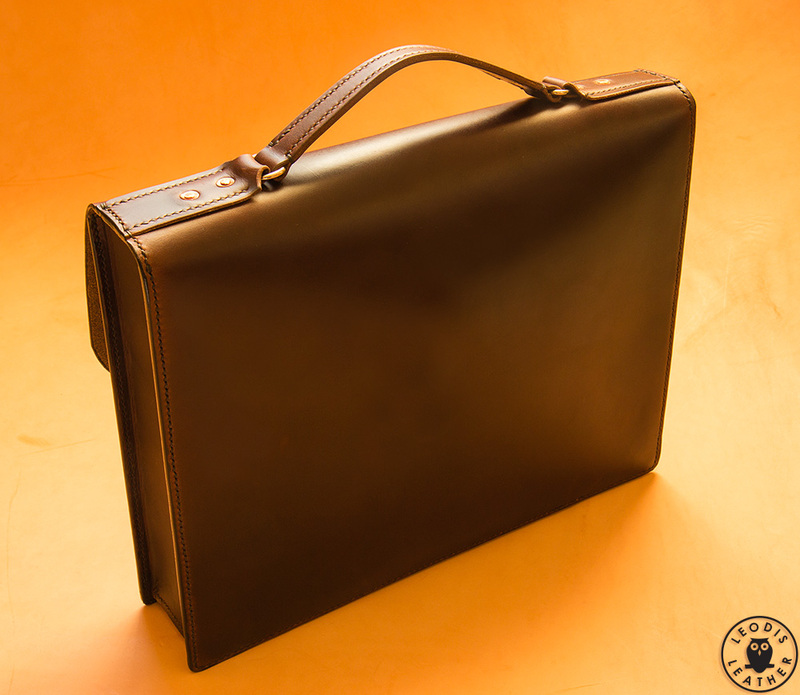 This small traditional briefcase was made from dark brown Horween Chromexcel and measures approximately 35.5x28x7cm (14x11x2.75 inches). 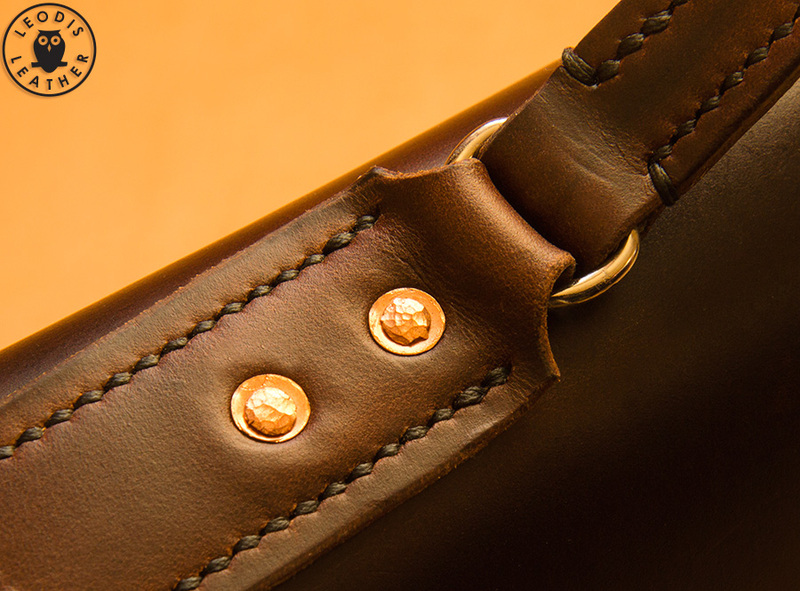 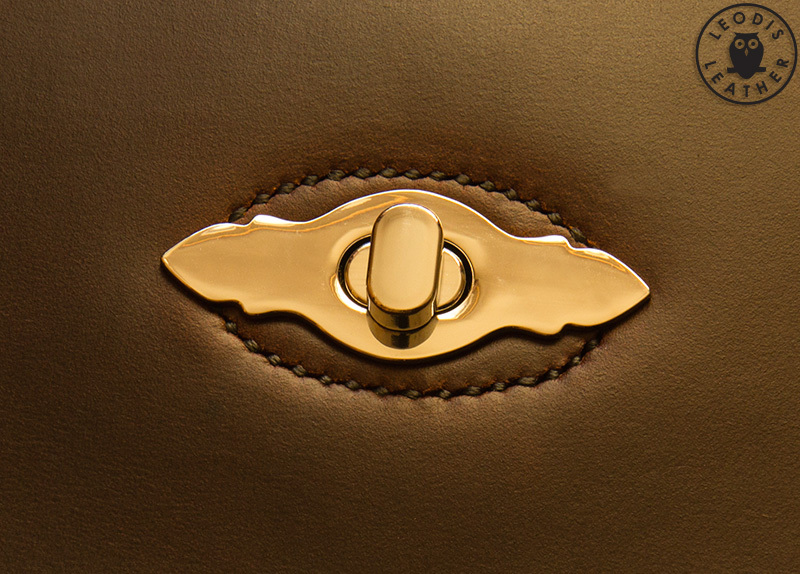 On top the handle is secured with traditional, hand hammered copper rivets for added strength and security. 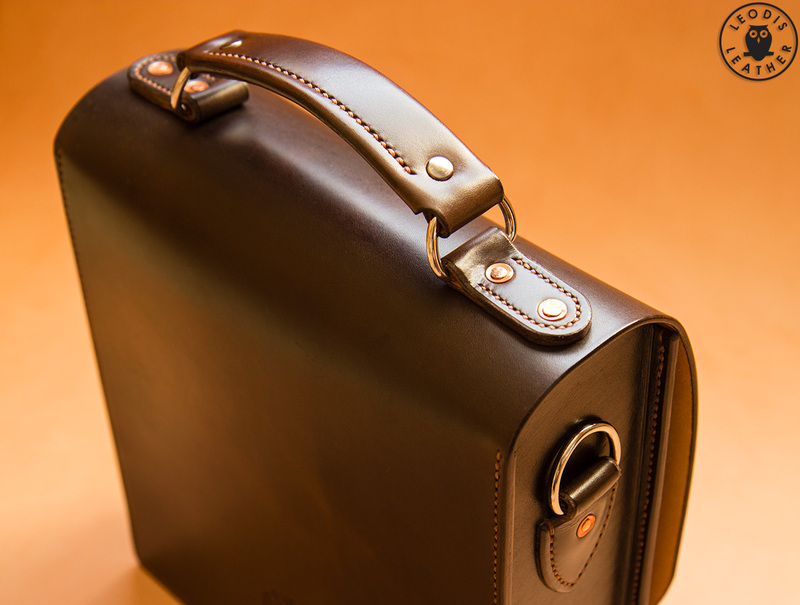 The front the case closes with a stylish, heavy duty nickel arcadia clasp. 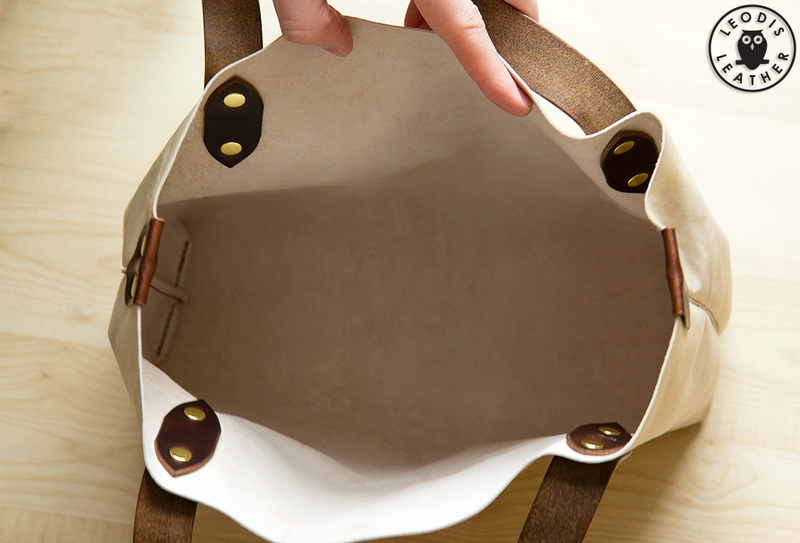 The size of this bag is ~ 9.75" (w) x 10.5" (h) x 3.5" (d). 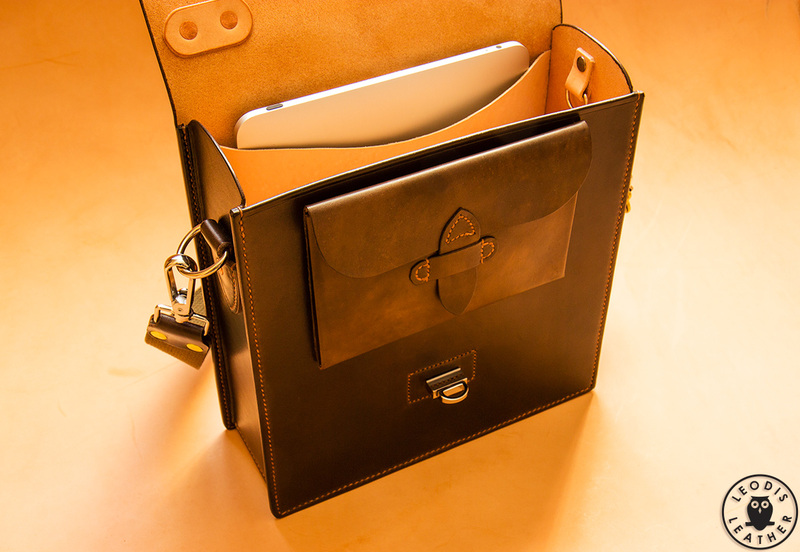 The bag is suitable for carrying a full sized iPad and a slip pocket is provided internally which can be used for this purpose, there is also a small additional pocket under the front flap. 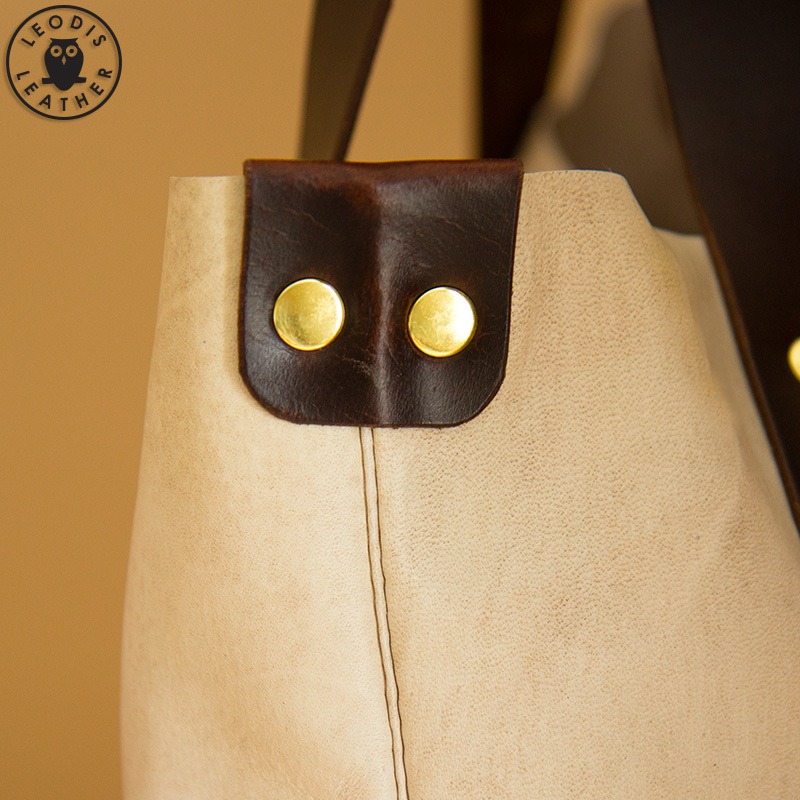 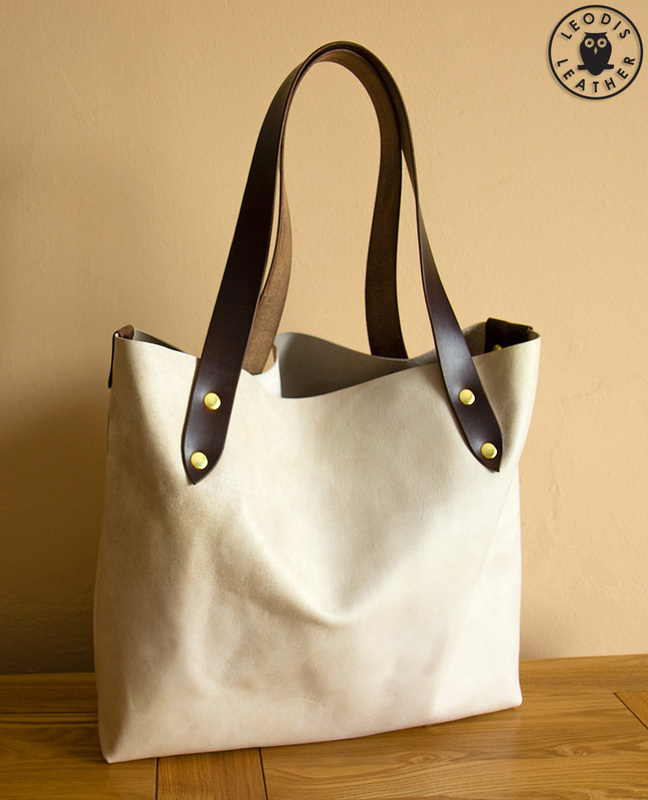 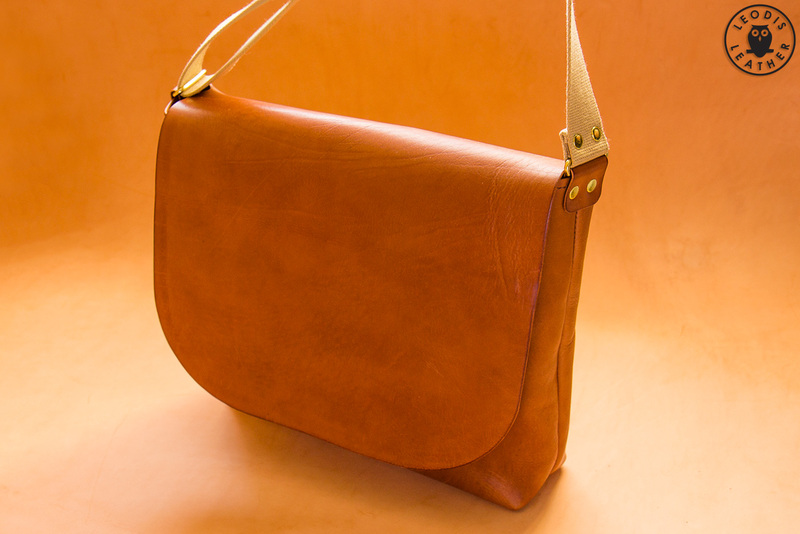 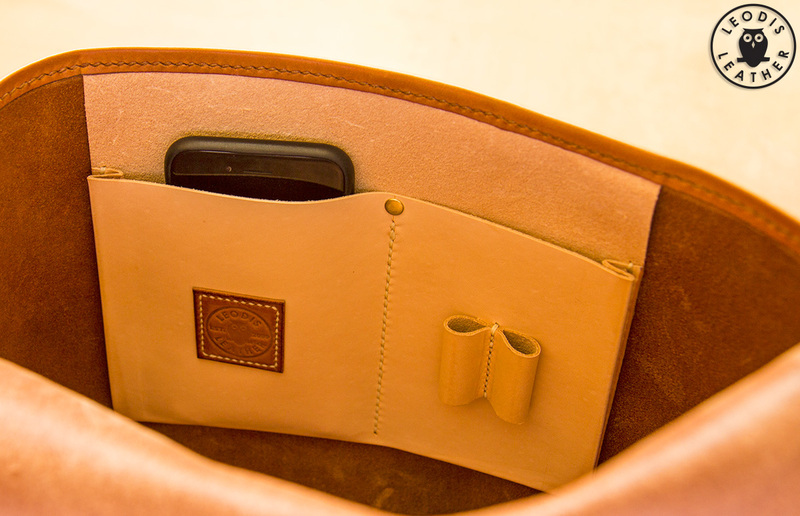 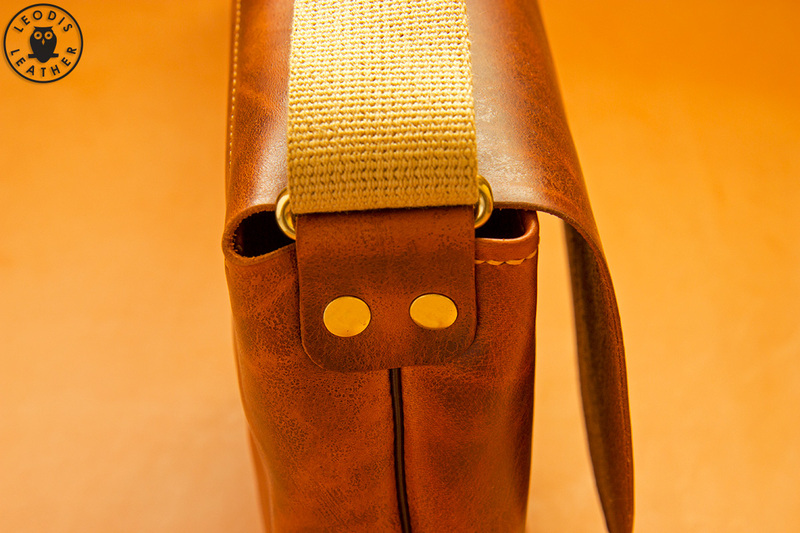 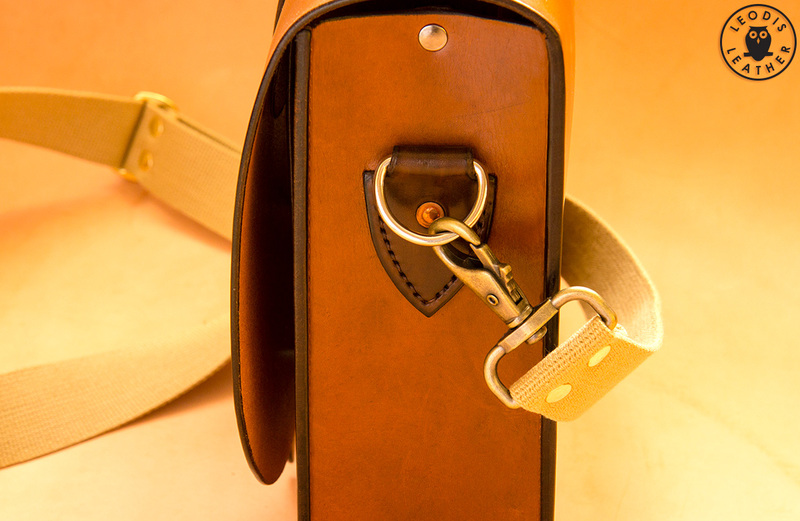 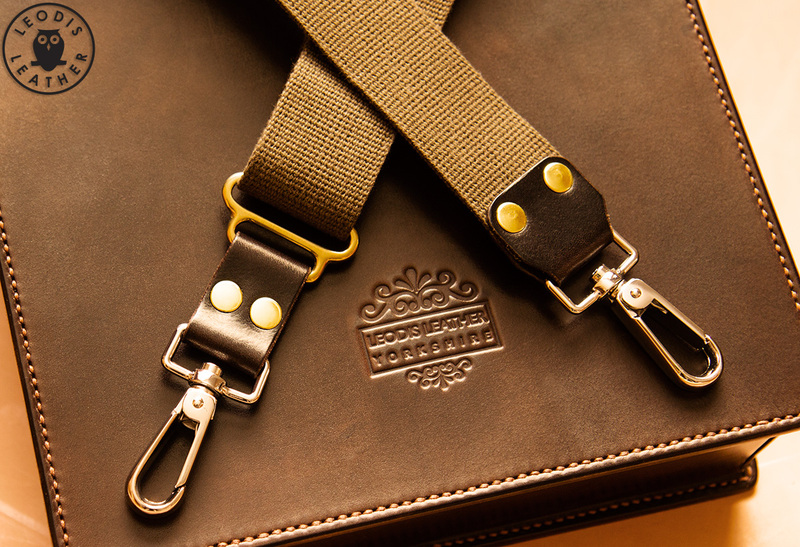 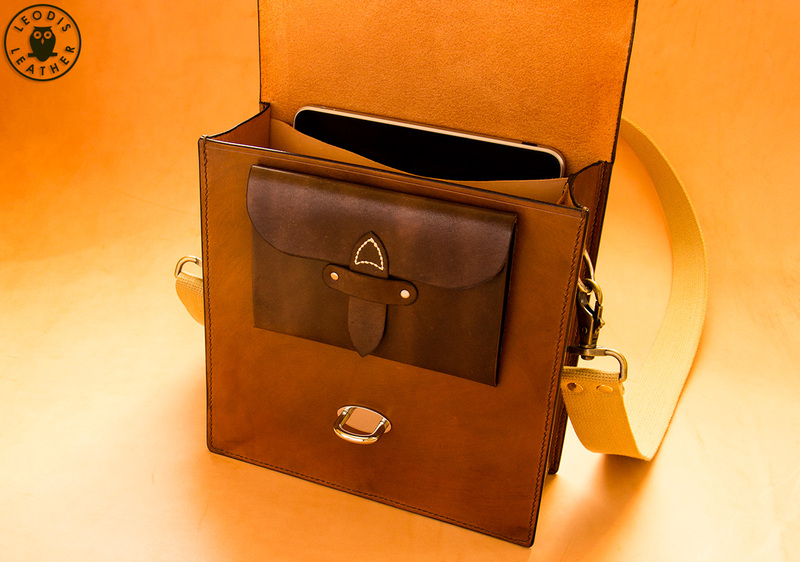 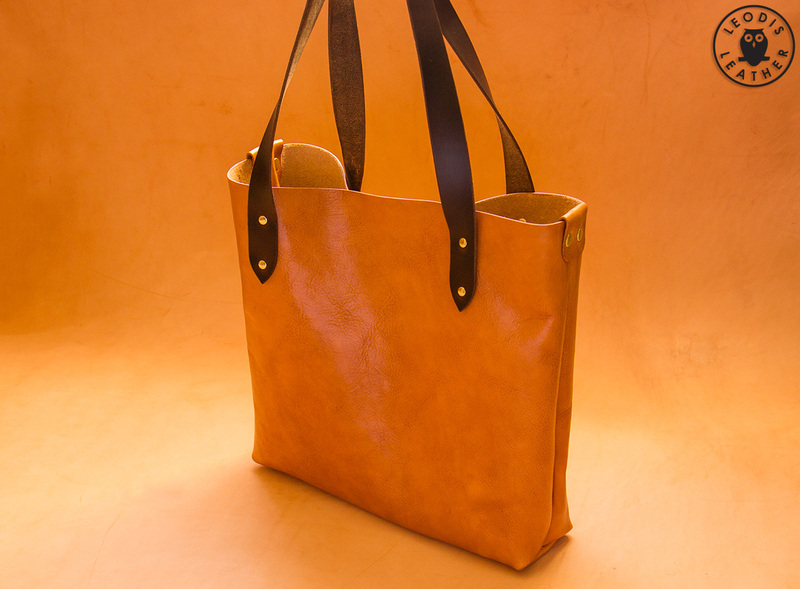 The bag has a grab handle as well as a fully adjustable leather and cotton canvas strap. 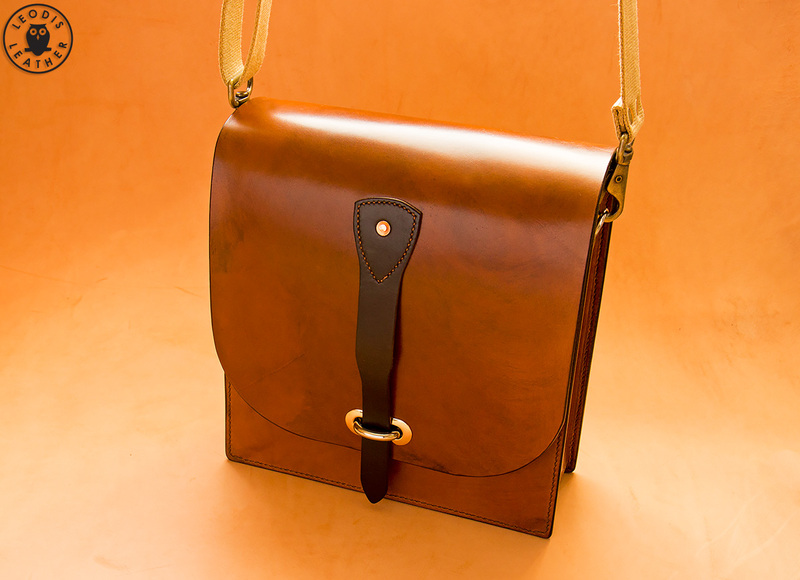 As above but in brown and without the carrying handle. 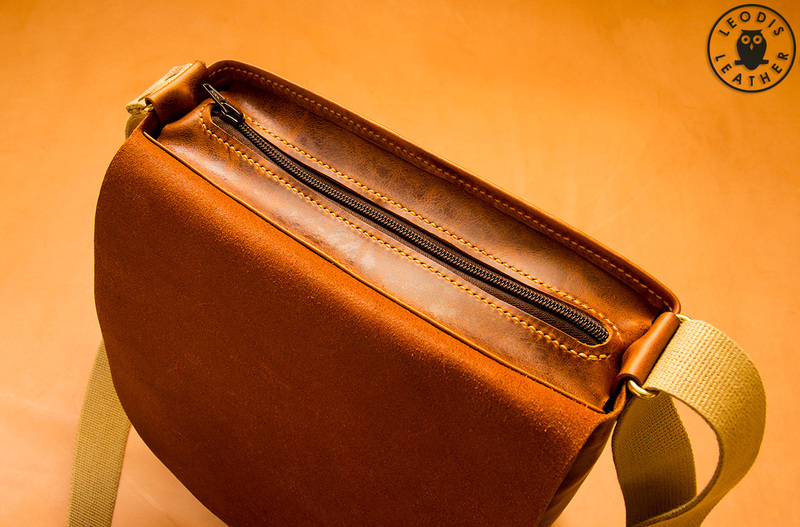 These messenger bags are available in two sizes, normal and mini. 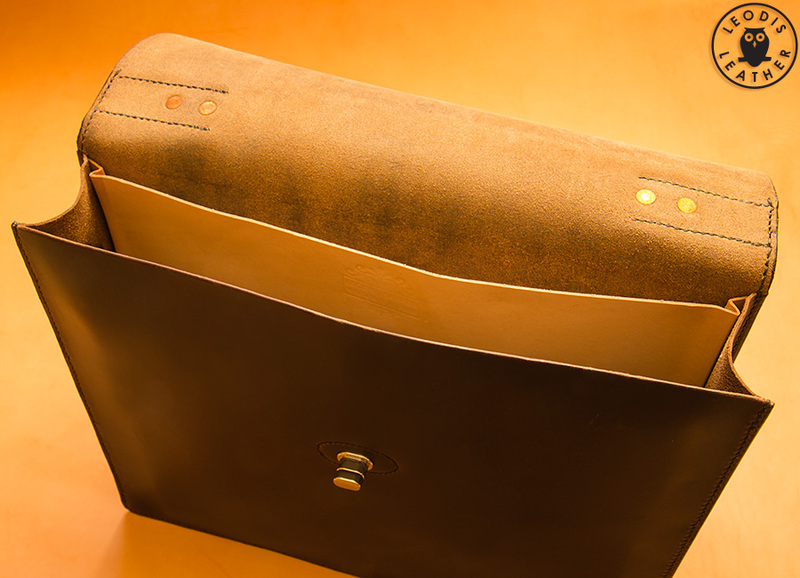 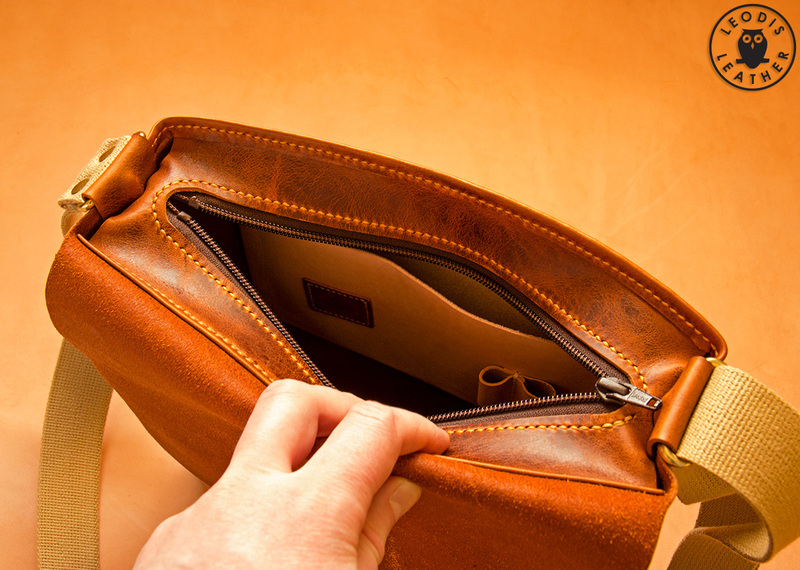 They can be made with or without the interior pocket, zip and seam welting. 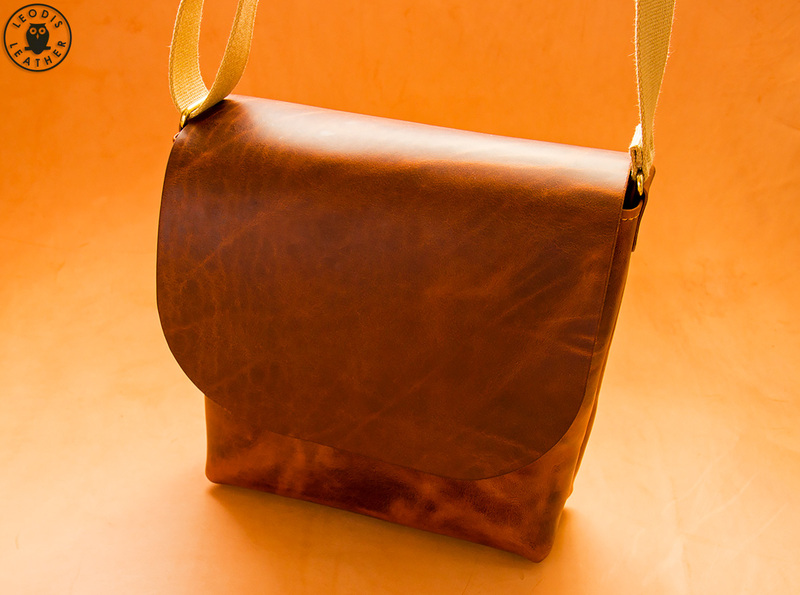 This bag was a one-off created whilst coming up with some other patterns.